Graphene is Head's newest breakthrough technology. This material has a breaking strength 200 times greater than steel, which makes it the ultimate substance for creating new HEAD racquet frames with exceptional properties. For the first time, it allows an optimal redistribution of weight from the tip to grip. It enables a redistribution of weight compared to traditional frames, taking weight out of the middle and adding weight to the top and bottom to allow players to generate more kinetic energy when they hit the ball. This design allows you to generate more power with less weight and less effort. Head's Corrugated Technology CT2 incorporates extra long corrugated rails resulting in outstanding power on every shot. 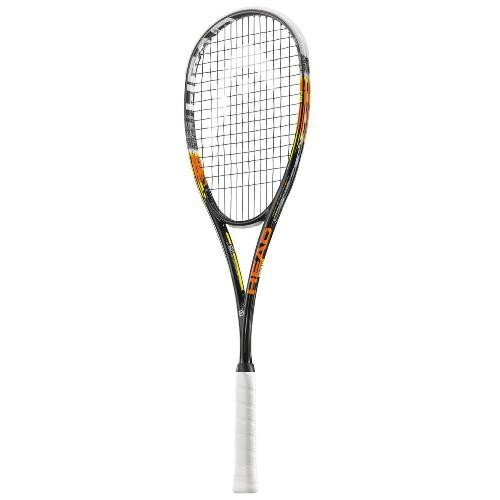 Head's YouTekTM racquet series is designed with the smart material d3oTM, which adapts to your playing style. Powerful shots become more explosive and touch shots even more accurate. The special d3o material stiffens for more power on hard shots and softens on slower slicing shots for more feel.